The Izula Gear Tin is a pocket sized survival kit tin that is perfect for keeping your essential items safe and undamaged. 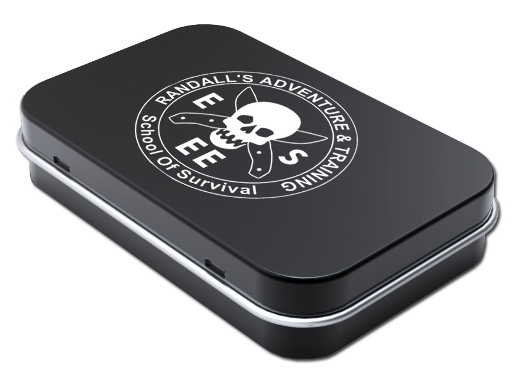 It measures 3.75 x 2.25 x 0.75 and features the Randall's Adventure & Training logo on the lid. Comes with an ESEE Knives basic survival card.